The weather in Texas is often varied and unpredictable. It is often characterized by extremes which perfectly exemplify the Texan saying, “go big or go home.” Having such type of weather also means there is the possibility of more severe damage to your vehicle. Less would occur if you lived somewhere with more stable weather patterns. However, if you live in Texas, chances are you are not going to leave the state any time soon. Therefore, you can expect some sort of damage to occur to your vehicle at some point in time. Call Texas Windshield Service today and get a FREE quote in the city of McKinney, TX. It’s really that simple. Texas Windshield Service can help you with that annoying crack in your windshield. We offer free quotes for all your auto glass replacement or windshield needs such as chips or broken windows. 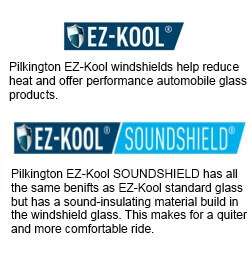 Texas Windshield Service has access to the right glass for your automobile. In addition, we supply every type of auto glass just so we can provide our clients with world-class service. Call for a free window or door glass quote and speak to one of our glass experts. Moreover, our proficient team of experts will help the repair process be as swift as possible. Furthermore, they will also maintain an exceptionally high quality of work. Most importantly, we offer affordable service while we get you back on the road in a speedy, but safe manner! One of the most common forms of vehicular damage is breaking or cracking your windshield or door windows. A crack in your windshield may not seem like a big deal. Once those cracks start adding up from repeated blows, then the damage to your windshield may become a safety hazard. You will have a distorted vision of the road. You could end up harming yourself, a loved one or another driver. The good news is you can get a free auto glass quote from Texas Windshield Service in McKinney. We have glass experts who will walk you through a relatively simple process. They will assess the damage to your windshield and give you a detailed, factual report at no charge. Proper windshield replacement or repair is intricate work. It requires specialized knowledge and tools you should not expect to find at all body shops. Once you have a broken or cracked windshield, the best option is to search for the best McKinney windshield repair company. A proven track record is a good indicator of how soon you will be able to get your car in pristine condition and get back on the road. A body of evidence is necessary if you want comprehensive work done. Check out three places and get three quotes before deciding where you want to get your car glass fixed. You should also discover what guarantees vehicle repair shops have after fixing your damaged windshield. A guarantee ensures that the repair service does a good job. If not, you can go back and have it done right. Texas Windshield Service based in McKinney, TX has incredible guarantees which show you how much confidence they have in their work. Therefore, it also helps to have the same repair shop fixing your vehicle. Above all, it will save you money and effort in the long run. Texas Windshield Service offers very competitive pricing and timeframe when repairing minor cracks or replacing entire windshields. It ensures that you get the best service and are back driving your car as soon as possible. You don’t have to take our word for it. Our previous customers are a testament to our work ethic and prove just how much pride we take in our work. We develop an honest relationship with our customers ensuring that they can trust us with their vehicles. They are sure that the job will be done to perfection. Even if we don’t end up repairing your vehicle, we will do the best we can to give you an honest and fair assessment. Accidents do happen in life. However, you should not let such incidences push you into a rash decision which could end up harming your loved ones. In conclusion, a long term happy relationship is what you will find at Texas Windshield Service.